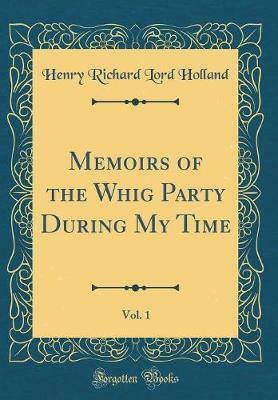 Excerpt from Memoirs of the Whig Party During My Time, Vol. 1 N. B The First Book was written before the year 1802. The Second Book between May, 1805, and the lst of January, 1812. I alter the style, and here and there add illustrations of the characters in transcribing it, but the main facts are related as I originally wrote them; and I men tion the date of my writing them, because the knowledge of the time at which a ms. Was written is not unfrequently as necessary to ascer tain historical truth as the preservation of it. About the Publisher Forgotten Books publishes hundreds of thousands of rare and classic books. Find more at www.forgottenbooks.com This book is a reproduction of an important historical work. Forgotten Books uses state-of-the-art technology to digitally reconstruct the work, preserving the original format whilst repairing imperfections present in the aged copy. In rare cases, an imperfection in the original, such as a blemish or missing page, may be replicated in our edition. We do, however, repair the vast majority of imperfections successfully; any imperfections that remain are intentionally left to preserve the state of such historical works.